My name is Steve Chen. I am a first-year student in the Health Policy & Management department, pursuing a Master of Science in Public Health (MSPH) in Health Policy and Health Services Research. I completed a fellowship with the National Cancer Institute before matriculating at Rollins. Here at Emory, I conduct research on health care utilization and spending trends and work on an interdisciplinary team to evaluate the cost-effectiveness of an integrated delivery care program at Grady Memorial Hospital. I am interested in the role of technology in improving health systems (in particular cancer care), and am involved with the Rollins mHealth Collaboration (RmC) and Rollins Association for Cancer Prevention and Control (RACPAC). You’ll find me looking for the next great place to eat in Atlanta. Hi everyone! My name is Rocksuna Falahati. I am a first-year Health Policy and Management student on the management track. I’m originally from Orlando, Florida and I graduated from Georgia State University with a degree in Biology in May 2017. After graduating from college, I volunteered and then worked full-time at the American Red Cross where I was exposed to the nonprofit sector of public health community outreach. Afterwards, I worked full-time as an analyst at a healthcare consulting company which further strengthened my passion for public health in the consulting sector. I fell in love with Rollins during Destination Public Health, because of the sense of community I felt from the faculty and students. I knew Rollins would be a great place to attend school, because it would give me an opportunity to help reach my academic and professional goals while finding and meeting connections and mentors in the field. Please don’t hesitate to reach out to contact me. I’m so excited to share my Rollins experience with everyone! Hey everyone! My name is Danielle Fitzpatrick. I am a second year Health Policy and Management student on the policy track. I’m originally from Long Island, NY and I graduated from Boston University with a degree in Health Sciences in May 2017. At BU, I had the opportunity to study abroad in India, where I was exposed to health disparities between social and economic classes. My study abroad experience strengthened my passion for public health. I became aware that health policy is pertinent to fix healthcare systems. I fell in love with Rollins during VisitEmory. I knew Rollins would be a great place to strengthen my public health knowledge and research skills while providing numerous learning experiences – inside and outside the class! Currently, I work as a Project Coordinator for Emory University’s Department of Pediatrics. As a Project Coordinator, I plan events that support PARTNERS Equity for Child and Adolescent Health. Not only has Rollins fulfilled some of my academic and professional goals, I’ve gained some amazing colleagues and mentors along the way. Please don’t hesitate to contact me. I am VERY excited to share my Rollins experience with you all! Hey guys! My name is Aisha Mahmood, and I am a first-year Health Policy and Management student on the policy track. I’m from Birmingham, AL and just graduated Emory with a degree in Political Science in May of 2018. While a senior at Emory, I had the opportunity to take a class on Women’s Health Policy at Rollins, and it cemented my decision to pursue public health. My public health interests lie in increasing access to health care through policy and working to improve health equity by addressing the social determinants of health. The collaborative environment combined with the amazing resources truly set Rollins apart from other programs and have made a real difference in my public health career. All the students here are so passionate about helping the community, and everyone is invested in helping each other succeed. Currently, I work as a graduate assistant for Graduation Generation, an office in the Emory Center for Civic and Community Engagement that focuses on supporting Atlanta Public School students through various educational and social programs. I am also one of the Graduate Student Government Representatives for the Rollins Student Government and President of Emory’s Graduate Muslim Student Council. In my free time, I love to read, hang out with friends, and explore all the amazing things Atlanta has to offer. 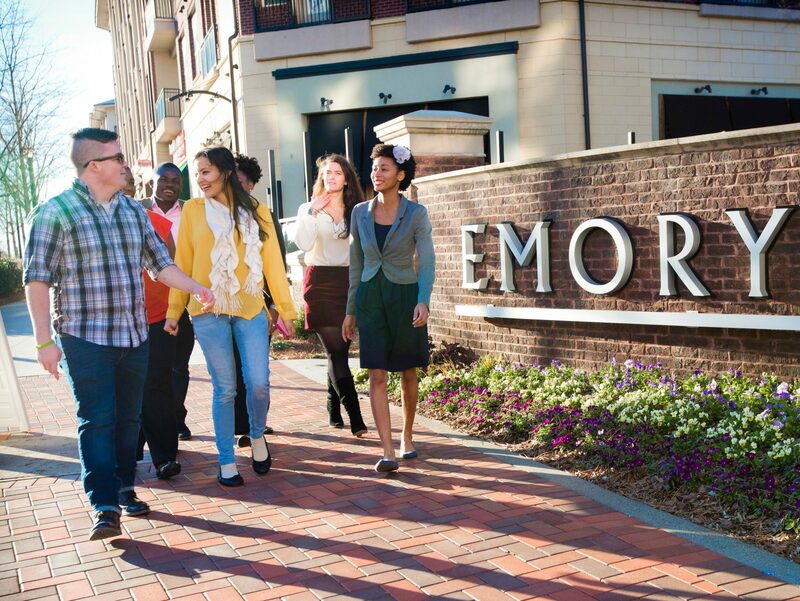 This is my 5th year at Emory and in Atlanta, and I am so EXCITED to share my love for Rollins with all of you! My name is Sanah Mandviwala, a second year MPH candidate in the department of Health Policy and Management. I’m a dentist formally trained in India. Earlier this year, I completed my postgraduate certificate in Restorative Dentistry at the University of Michigan Ann Arbor. Currently at Rollins, I’m part of the Rollins Student Government Association as one of the two International Student Representatives and the Communications Chair for RmC. I like being on the go, which has attributed much towards my extracurricular activities. I am a trained track and field athlete and lawn tennis player (hit me up if you ever want to play a match or watch one). Finally, other than reading blogs on healthcare and keeping myself afloat with the latest public health issues across the globe, I love trying new restaurants, cooking, traveling, and meeting new people. For the things I hate, it has to be driving in Atlanta for starters. Hey everyone! My name is Lauren Panchley. I’m a first-year student in the Health Policy and Management (HPM) department on the policy track, and I’m also pursuing a certificate in the Socio-Contextual Determinants of Health. I’m originally from Rhode Island; I grew up in a small town called Tiverton, and I went to Providence College in Providence, RI, for undergrad, where I was an HPM major (yes, really!). I knew from the first day I visited Rollins that it was the school for me; Emory is an excellent school and Atlanta is an awesome city, but what I loved the most was the sense of family and community I got from everyone at Rollins – it was evident that students, faculty, and staff all love to work with one another and genuinely want to help others succeed. This is why I’m so excited to be a part of the ambassadors team – to show you all what’s so awesome about Rollins and why it’s (objectively!) the best school of public health out there. I can’t wait to meet and chat with everyone! Hey guys! My name is Jonathan Pye, a 1st Year Health Policy and Management student on the Management track. I was born in Seoul, South Korea but was adopted when I was 5 months old. A little fun fact is that I am one of six children all of whom have been adopted from either China, India, or Korea. In May 2017, I graduated from the University of Georgia where I studied Biology. Immediately after graduation, I worked at Augusta University in the Vascular Biology Center where we studied obesity induced Atherosclerotic lesion formation. I chose Rollins because it would empower me to become an effective leader in healthcare reform and delivery. Outside of Rollins, I love all things basketball, food, and swing dancing. Yes, I love to swing dance! I look forward to sharing my experiences at Rollins with you all and being a part of one of the best decisions you will ever make! Hi everyone! My name is Anisha Sudarshan and I am a 2nd year Health Policy & Management student at Rollins, on the health policy track. I’m originally from Michigan, born and raised in the Metro Detroit area. I graduated from University of Michigan with a double major in Neuroscience and Spanish and minor in Computer Science in May 2017. At Rollins, I served as the Secretary of Rollins Student Government Association, and I’m currently involved with the Humanitarian Emergencies Research Team (HERT). I spent my summer researching corruption in the Serbian health care system, and I currently work as an analyst intern with the Neurology department at Grady Hospital in downtown Atlanta. I chose Rollins because it would give me a chance to develop and intertwine my interests in global health and health policy, grow as a future public health professional, and find connections and mentors in the field — and so far, it’s been amazing! Outside of school, I love traveling (and studying health systems) in Eastern Europe, finding good food in Atlanta, reading, and watching tennis. I’m so excited to share my experiences at Rollins with everyone!